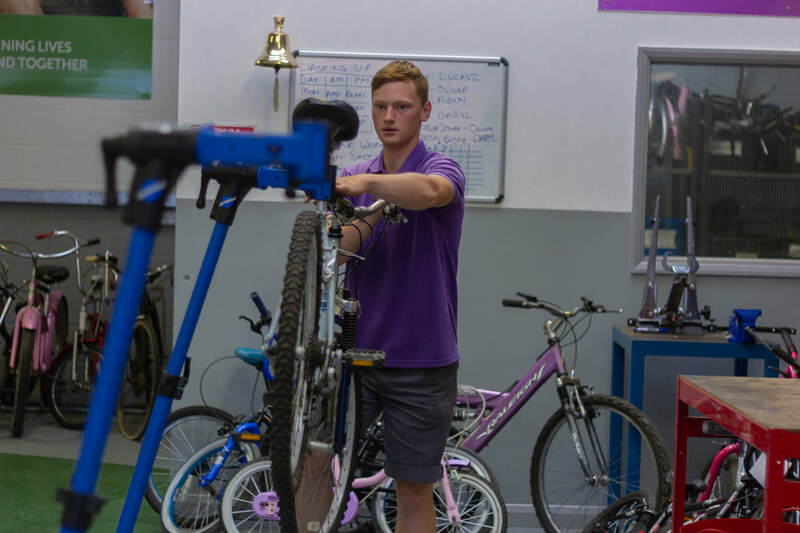 ​ R-evolution's main aim with the Bike Project is to provide training and work opportunities to disadvantaged people in an effort to increase job related skills. 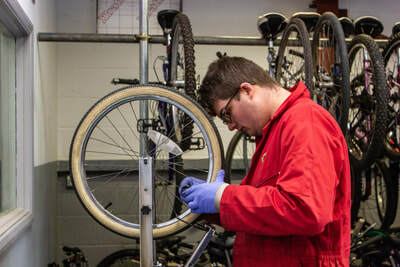 Donated cycles are repaired by prisoners in a dedicated workshop, providing meaningful work for 15 men. Our Cottingham based centre is also used to train clients from all walks of life. From this, R-evolution are able to recycle and refurbish over 1,000 bikes each year. This helps to increase the take of up of cycling, reduce car journeys and improve well-being and community participation. The majority of the refurbished cycles are put into our Yorkshire Bank Bike Libraries across Hull and the East Riding. Children are able to borrow from our fleet of 250 bikes for free. Other refurbished bikes are sold to the community. 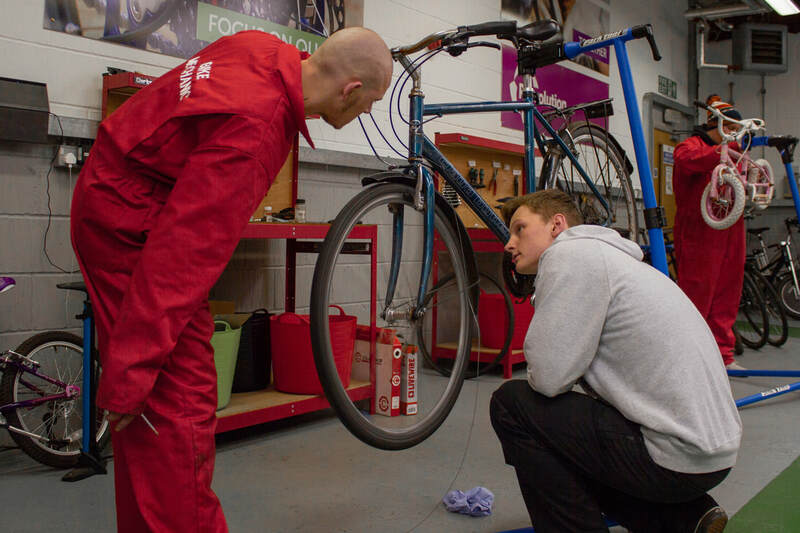 With a large bike workshop on hand, R-evolution offer cycle maintenance training courses to the public as well as running a Community Workshop, where individuals can come and fix their bike themselves. Bikes can be donated to R-evolution via our HQ based in Cottingham, East Riding of Yorkshire. ​We have 3 other donation stations in place - including: Beverley, Driffield and Bridlington. R-evolution now offer servicing and repairs at our Cottingham premises. See below for the price list. 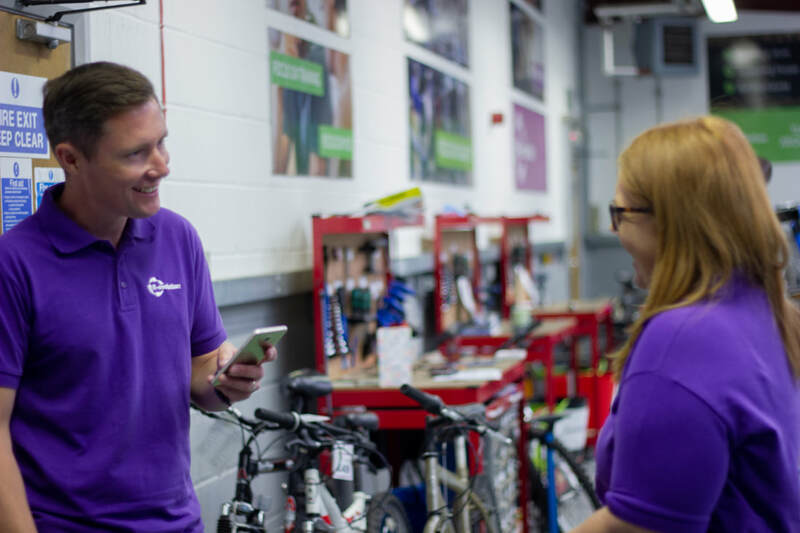 ​We offer training courses to the local community where you can learn to fix your bike yourself. Our Community Workshop also opens in April where members of the community are able to use our workshop to fix their bike themselves. If you wish to buy a bike from R-evolution. you can come down to our workshop in Cottingham. Bikes can also be bought via Emmaus (Lockwood Street). 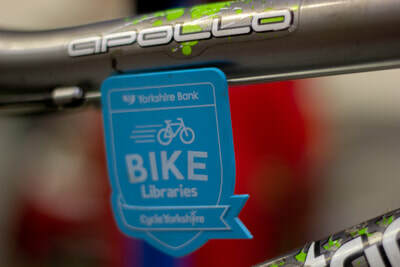 ​Alternatively, we attend a number of Summer Road Shows where a selection of bikes will be available for sale.